It is a bank holiday weekend, a chance to celebrate and have fun. This is a busy weekend for us we have a Spring Ball on Saturday evening. This will be an evening filled with good friends and lots of fun. However I am also hoping for a chance to return to the garden on Sunday and Monday and with Saturday evening past I dont have too worry about breaking nail!! 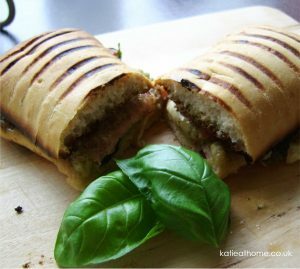 So in Something for the Weekend this week I am thinking an easy gardening lunch that everyone will enjoy – Sensation Mozzarella and Bacon Panini, a favourite of the children, the husband and me well being a vegetarian I will just have one minus the bacon! 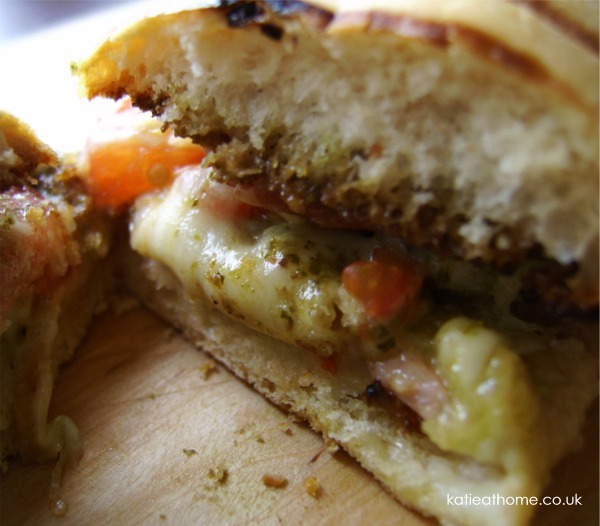 Now if you have a griddle then all the better to make these, however I dont so it is possible without! 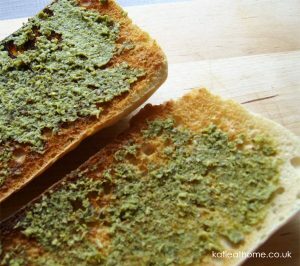 Take a panini, half it, if you like garlic then rub a little garlic over the bread and place under the grill until JUST toasted remove and spread lightly with pesto home made if you have it (see my recipe) shop bought is fine if not. Place the top on and if you have a griddle place in the griddle 5 – 8 mins if not, dont worry I wrapped mine in foil and placed in a warm oven for approx 15mins, take a bit longer! 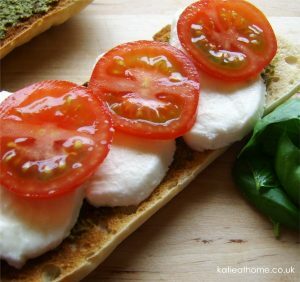 And there we are an enjoyable lunch full of Italian sunshine – we can always dream!